Super Open House Weekend Event!!! Models Now Open!!! Lots going fast, only 14 Lots left of 47!!! 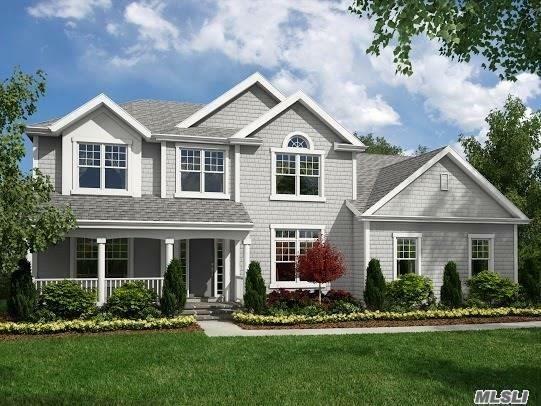 Harborfields Estates is a new collection of 47 Single Family Homes, on 1/2 acre home sites located in Greenlawn, Huntington Township and the acclaimed Harborfields School District. Choose From 4 Models With 4-5 Bedrooms 2854 Sf To 4400 Sf with Custom Floor Plans Also Available. Designed and built by Island Estates, a family business known for their integrity for delivering quality homes throughout Long Island for over 50 years. Each home offers the opportunity for unlimited customization with caring attention to detail from a team of experts. The residences will include outstanding amenities such as Grand Entry Foyers, Open Floor Plans, Wood Floors on the Main level, Fine cabinetry and vanities, Granite Counter-tops, Stainless Steel Appliances, Tile baths, Master Suites with expansive closets, full basements, 2-3 car garages with many Cul-de-sac locations surrounded by park and common areas. Convenient commuter location with easy access to major roadways and LIRR. Residents will enjoy the experience of nearby Huntington Village shopping, restaurants, cultural and recreational facilities and the picturesque scenery and beaches of Long Island's North Shore. Closed on Tuesdays!